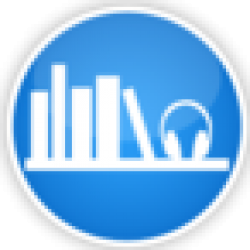 ABR's original The Fold audiobook review and many others can be found at Audiobook Reviewer. Don’t worry if you have seen all of the review of The Fold being a sort of sequel to 14. Sure it might be nice to have some idea of what these characters are going through. However, it is not necessary. Peter Clines has been able to do one of my favorite author tricks, by making a sequel a stand alone story that requires no additional knowledge what so ever. Can you imagine having a photographic memory? With perfect recall of every experience, taste, smell, everything that you have seen or heard. This is what our protagonist Mike has and for some reason his is only a high school teacher. One would thank that DARPA or the like would have scooped him up years ago. Well, now they have him for a special kind of reconnaissance mission. Go and observe this secret project and learn all you can about it. Who better for this sort of mission, right? Of course he and DARPA get way more than they planned for or could ever imagine. Even though that most of the reviews that I have read have already given most of everything way, I refuse. Let me say this. 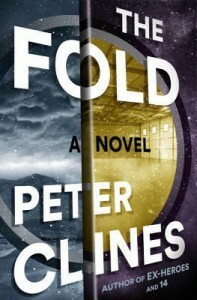 Peter Clines is one of the best contemporary science fiction writers around. Building great characters that actually have substance to them. Story lines that are way out of the range that everyone else is writing about. Clines makes me drool every time I hear about a new story of his coming out, as I have devoured everything else. While listening to The Fold I could do little else as I was transfixed on the story. What can I say about Ray Porter’s performance that I haven’t said elsewhere? No much it turns out. Porter is one of those narrators that puts his heart and soul into every one of his projects. Making the listener feel as if nothing other than this story, the one you are listening to right now, is the only thing that requires any attention form either of you. If you need a science fiction story that is out of the norm, that has great characters, fairly straight forward plot line (hind sight anyway), superb action and technological scenes. That is performed by one of the best voice actors in the business. Buy. This. Book. You can thank me later. Audiobook purchased for for review by ABR.